La maison dispose d'une chambre king super taille avec un balcon et construit dans un coffre-fort, il y a une salle de bains avec une grande douche à l'italienne. Chambre 2 a un lit king size. Chambre 3 lits jumeaux. Il ya une salle de bains et un WC au rez de chaussée. Le salon a TV satellite, wifi et une grande salle en plein air avec des chaises pour 6. La cuisine est équipée d'un grand réfrigérateur, d'une plaque de cuisson, d'une bouilloire Nespresso et d'un grille-pain. La maison est climatisée avec salle de fans généraux. Le jardin est très privé avec sa propre piscine. Il ya aussi une piscine commune avec chaises longues très proches de la maison qui est idéal pour les enfants. La plage est littéralement sur la route à l'hôtel Fairmont Royal Pavilion avec 4 transats privés pour les invités. Il ya 10 maisons à Turtle Voir qui sont entourés par des plantations Bajan, les maisons sont dans une communauté fermée et ne peuvent être accessibles avec un porte ainsi donc il est très sûr. Si vous louez une voiture il ya un parking privé au sein de la communauté fermée. La maison peut accueillir six personnes et nous avons aussi un lit bébé disponible. Nous offrons un service de ménage. Il ya une salle de bains pour la chambre des maîtres. Il ya une salle de bain principale de la famille. En bas il ya une salle de bains WC invités. We spent 2 incredible weeks at Turtle view 1. This was our second stay in this house and our third stay is already booked. Turtle view is truly a home away from home. The owners Kimberley and Iain have put a lot of effort and thought into the furnishing and design of their house and it is always a pleasure to communicate with them. The location is perfect as the house is only a 5 minute walk to the Fairmont Royal Pavilion Hotel. Guests of Turtle View 1 can use the sun chairs and facilities of the beach club which is a considerable added value. It is always with a heavy heart that I leave this beautiful island and we are delighted to have found such a perfect house for our vacations. Thank you Kimberley and Iain. Thank you so much Mariam for taking the time to write a review. I really appreciate your thoughts and I’m delighted you have had a wonderful stay. We have just had the most wonderful two weeks at Turtle View - the photographs do not do it justice. The accommodation is excellent. The location is ideal - 5 minutes walk to the beach, Beach Club membership really useful. The pool area is just outside the door and we had it to ourselves much of the time. It is a good idea to hire a car for shopping etc although Lone Star and The Fairmont are within walking distance. Kimberley could not have been more helpful. She gave us contact details for taxi from airport and car hire at a good rate and has always been contactable during our stay. Beverley was also very helpful and accommodating. I would thoroughly recommend staying at this property! Thank you so much Jane for taking the time to write a review, I do really appreciate your view and know that it’s so helpful to future bookings and for guests that haven’t visited Barbados before. I’m delighted you and your family have had a wonderful holiday. A fabulous home in a fabulous location! Walking distance to the fabulous restaurant Lone star and beach bar, Ju Jus and just a very short car/ bus journey to Holetown- which has everything you need, from shops, bars and great restaurants. Kimberley was extremely helpful and fully communicative to any questions or requests we had, before and throughout our stay and Beverley made us feel very welcome. We had no issues with the house at all and everything worked perfectly from the wifi, TV and kitchen appliances. We couldn't find fault and was so delighted with our decision to hire a house, rather than stay in a hotel, which gave us the lovely option of cooking at home and relaxing on the sofa, if we didn't feel like going out! We will most certainly be back and thank you! Thank you so much Victoria for taking the time to write a review. It’s very helpful for future guests. I’m delighted you enjoyed your stay. Stayed less than1 Hour and left!! We viewed Turtle View on line and booked only 7 days before our departure. The owner, Kimberley, was very prompt and positively responsive and even agreed a discount as it was booked at such short notice. 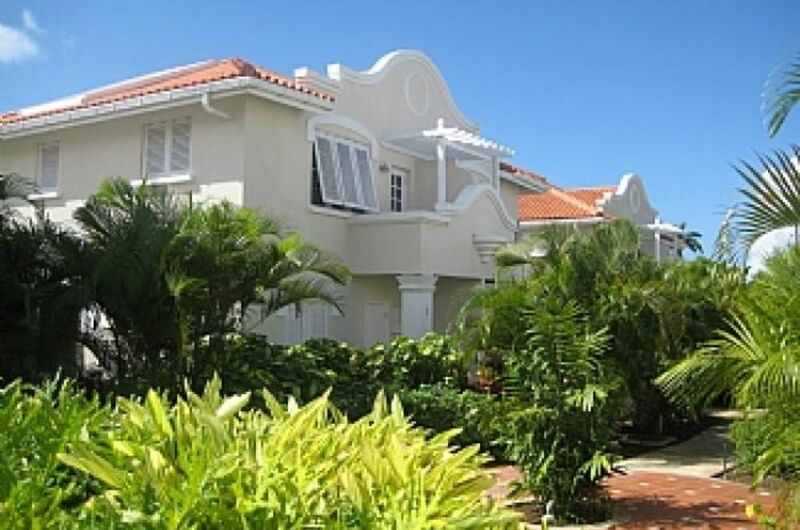 The property is in a good location close to Holetown and the added benefit of the use of the beach club at the Fairmont Hotel is a real plus! The problems started as soon as we walked through the front door. We were met by the owners ‘less than enthusiastic’ representative, Beverley who was emptying the dish washer to check if it worked! Additionally showing us the fridge/freezer where she was storing her own frozen fish. It had clearly been there along time! No WiFi working and we were just told to use a neighbours login! Unprofessional and unreliable especially if you have your own business to run! The property is advertised as having Air Con. Upstairs has this facility but downstairs it does not! All the windows were open to clearly cool it down and it was full of mosquitos! It doesn’t have all windows and there are basic wooden shutters that are difficult to keep fully closed therefore offering a continual mosquito issue! I enquired about the Maid service and was looked at blankly. Beverly offered rather reluctantly one day! I’m not sure what the upsell of maid service is at the property! The floor was filthy under bare foot and when upon viewing the master bedroom, found the ensuite window being held open with a wooden block! The final straw was seeing a filthy and stained pillow case and even worse pillow itself! It left an awful feeling of what ‘Lies inderneath’!! We left shortly after and booked into a hotel! I have never had to do this at either a hotel or private property before! What I hoped was that as the owner was offsite, she would appreciate my concerns. Unfortunately any positive note was not forthcoming. I was told had I expected full air con, full maid service etc, I should go to an expensive hotel!! NO! What I expected was what the property was described as that’s all! AND what you would expect anywhere is a clean property. Having filthy bed linen is not acceptable! At no stage was even a token refund offered. They were steadfast in keeping all the money I had paid out! Any gesture would have been seen as a moral stance in accepting things in this instance were not right! I incurred significant costs in booking a new hotel but have no regrets.I would not have stayed there for nothing! Dear future guests, I am very saddened that I ever accepted this booking. Mr Sykes when booking my house was already trying to get his money back from a hotel he had decided he didn’t want to stay at whilst on the Island. I have rented my home with HomeAway for over five years and have never had one bad review. I have several guest’s that have rebooked my house many times over and I have two different guests that return every year. Beverley my housekeeper has worked at Turtle View over 10years and has been with me since we bought our home. Our home has never been filthy not even when large families have been in residence. The WiFi was only down on that particular day because super fast fibre was being installed. After seeing the initial complaint from Mr Sykes , I asked Beverley to use brand new bedding to help the situation even though Beverley assured me on the phone there was nothing wrong with the bedding only a dirty pillowcase after a suitcase had been placed on the bed. unfortunately Mr Sykes had already left the property within thirty minutes of arrival. November can be a humid month, however I have never seen or heard of any homes being full of mosquitoes. The house is lovely and cool downstairs with the windows open and the fans on. Upstairs in all the bedrooms we have aircon and fans. You will see from previous reviews there has never been an issue. Please do not let this review reflect our house as I can see no comparison nor I’m sure if I asked previous guests. We wanted a few days on the beach after a cruise which disembarked at Bridgetown.We had never booked a villa using the web before so this was a bit of an experiment. Everything was absolutely perfect and massively exceeded expectations,especially the help we got from the owner Kimberley with admin eg a taxi to meet us. The villa is perfectly located very near good restaurants, Holetown (shopping and supermarket ),the bus route and the Royal Pavilion Hotel. The RP hotel beach club membership provided by the villa owners enabled free use of loungers and parasols,a welcome bonus. The communal villa pool was also good and was largely unused apart from us.The villa is in a small gated community and we always felt safe. Everything in the villa worked well. The smoke alarm was activated by steam from a shower but Tony the handyman fixed it immediately. Many thanks for taking the time to write this very kind review. I am also always very happy to hear that if my guests have any problems they are dealt with immediately. I’m so delighted that you enjoyed your stay. Great trip. The house is well situated. You likely will need a car...it will just make everything easier. Nice pool, easy walk to the beach. Close to shops and town. Peaceful place to hang out. Tortue View est dans un emplacement idéal pour toutes les attractions de St James. Il ya de nombreux restaurants réputés magnifiques sur la côte ouest, y compris le fameux Cliff et Lone Star, qui se trouve à seulement 5 minutes à pied jusqu'à la route. Nous sommes très la chance d'avoir quatre transats de la plage privée pour nos clients de l'hôtel Royal Pavilion qui est littéralement un peu plus la route. La côte ouest de la Barbade a 7 miles de sable doré et cristal mer des Caraïbes. Il est excellent snorkeling et sports nautiques disponibles, vous pouvez aussi nager avec les tortues géantes qui fréquentent la baie de Payne. Il ya d'excellents magasins à Lime Grove comprenant un réseau de boutiques de créateurs bars et restaurants cocktail. Si vous êtes un golfeur, vous aurez l'embarras du choix de cours de classe mondiale dont le fameux Sandy Lane et Royal Westmoreland fois étant dans très courte distance. La capitale Bridgetown est de 8 miles en voiture et certainement Wort une visite. Polo est très populaire à la Barbade et vous verrez souvent des avis pour les matches de polo après-midi. Port St Charles est un développement de luxe d'appartements et de maisons et a une belle marina, ce est un bel endroit à visiter et déjeuner. La célèbre piste de sable est à quelques minutes où vous pouvez appeler pour le thé de l'après-midi ou le dimanche midi, ce est toujours mieux de faire une réservation. La plus grande attraction pour nous à la Barbade est le peuple. Ils sont très chaleureux et toujours heureux de plaire. Ils se embrassent véritablement touristes et vous aurez toujours sentis les bienvenus sa difficile de quitter.